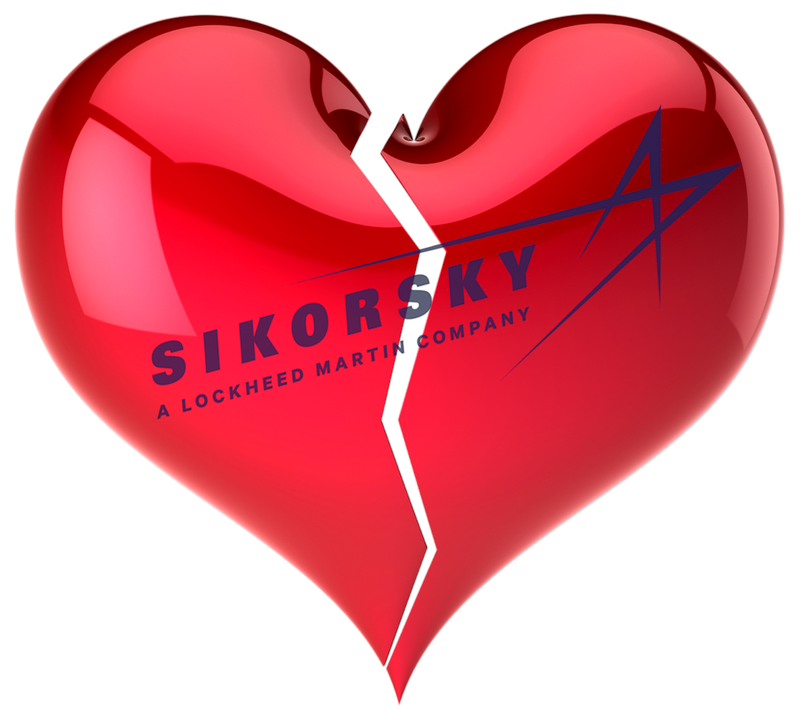 NO LOVE AT SIKORSKY HELICOPTERS (UPDATED) — AM I NEXT? Sikorsky spokesperson Paul Jackson noted, “Sikorsky will not renew the lease for the Florida Assembly and Flight Operations property ... and will vacate the building by year-end. Closing the helicopter assembly operation at the campus it shares with Pratt & Whitney will result in a lay off of about 500 — nearly half of the employees at the Palm Beach County site. Sikorsky spokesperson Paul Jackson noted, “Sikorsky informed employees today of a decision to consolidate operations to adjust to lower US Government aircraft demand, eliminate the resulting excess capacity, and protect our ability to compete by reducing cost. It appears that a confluence of events are likely to produce up to 200 permanent layoffs in the Sikorsky/Lockheed’s facility in Jupiter, Florida. The layoffs appear to be targeted at workers involved with the Blackhawk military helicopter program. Look for an upcoming shootout for the next generation of helicopters. Sikorsky/Boeing’s SB>1 Defiant against Textron/Bell’s V-280 Valor. We can only hope that critical workers can be retained to avoid what happened to the skilled staff at NASA – who appears unable to send astronauts to the International Space Station without Russian launch vehicles.